While many computer users opt for a mac to eliminate or bypass the usual problems relating to viruses and slow performances, that windows users dread, they still will sometimes experience performance issues. Mac users can occasionally experience slow moving system or one which seems to take forever to get started up. This might be as a result of number of problems ranging from having way too many things on your hard drive to using too many active logins. Getting options for mac optimization is always a good option especially by using programs like OnyX. What is Onyx Mac Cleaner ? 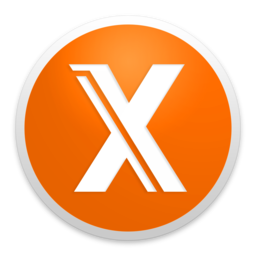 Onyx is a free maintenance software for mac personal computer users. It is one of the best options out there to optimize your mac computer. Whether you are interested in regular maintenance of one’s mac OS X or for eliminating files that are not used, you can download OnyX Mac the way it gets more thorough with each version of their software. While Onyx may seem intimidating for some mac users, it really is one of the most user friendly software available. You simply click on each icon, and it gives you a fairly understandable explanation of the desired function. Mac has a built in self maintenance mechanism but OnyX does a lot more. In accordance with Macâ€™s built in system that will runs scripts, OnyX allows you to work these scripts according to a specific schedule. These scripts are important to keep your mac functioning at its optimum levels. To schedule these scripts how you want, make the selection from the Maintenance files options, within that option, you’ll see the option to schedule day-to-day, weekly, and monthly. By clicking on the checkboxes, you will change your preferences. You will then move on to deleting System Archived Log and then in order to have OnyX run those scripts, you select Execute. How does free Mac Optimization from Onyx Mac Work ? Regular Mac Maintenance; even if you’re not yet experiencing any issues with your mac, regular cleaning and, maintenance helps to keep it in the best condition. OnyX helps you to do this by letting you utilize their Cleaning option to remove useless files and pace hogging items giving you much needed space on your drive. Removing Other Unwanted Files; OnyX detects files that may have otherwise been forgotten. One of the biggest reasons why mac computers lag in its performance is the storage of these files that are not in use. OnyX will work to remove these items that you no longer require some of these include messages downloaded through email, file such as photos that you had to download in order to view and other similar items. These are items that might have otherwise been forgotten but detected by OnyX. OnyX runs scripts according to your very own preference and will scan your mac to detect any problems that might be causing it to operate below par. Some mac users believe that mac cleaner is not necessary while others disagree. While mac has its own built in device to help it to maintain optimum performance levels, software does give it a very well needed boost. Removing items that are no longer needed is usually a time consuming task when carried out manually, having a reliable software that aids mac optimization makes the task more thorough and less troublesome.